This classic trophy features a football player running. The trophy is bronze in color with gold detailing. This is a sophisticated, iconic trophy design that any player would be proud to display. 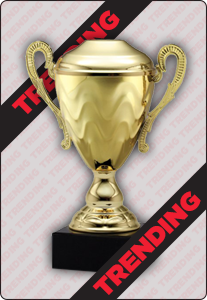 Choose to engrave this trophy with player name, date and event played at or add a special message.